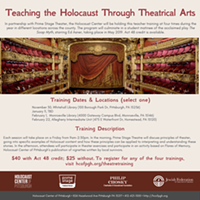 Teachers of all subject areas: How can principles of theatre be applied in your classroom to interpret and understand the difficult, important stories of the Holocaust? 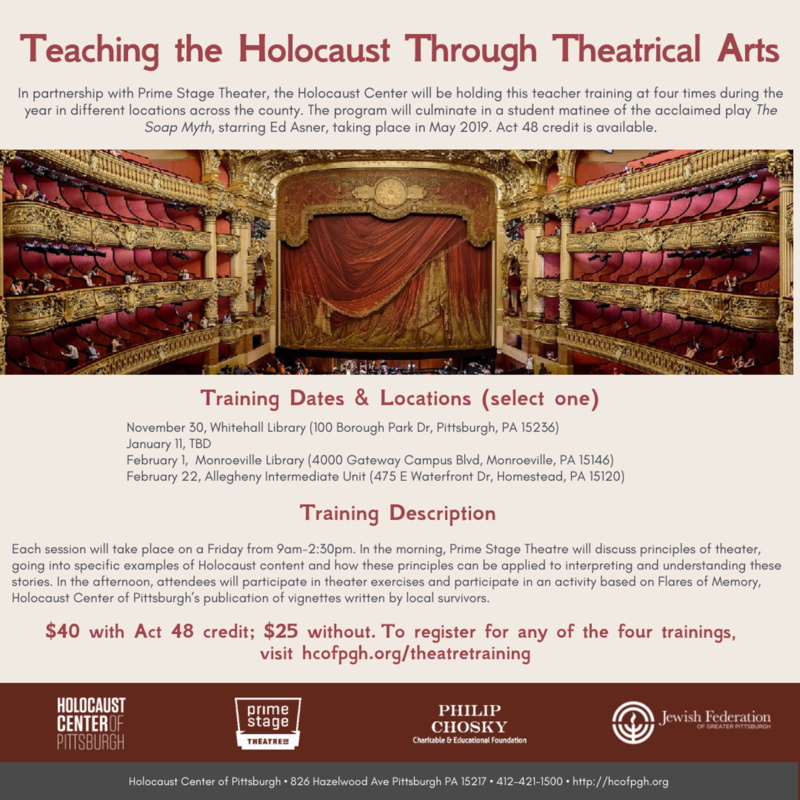 In partnership with Prime Stage Theater, the Holocaust Center will hold this teacher training at four times during the year in different locations across the county. The program will culminate in a student matinee of the acclaimed play The Soap Myth, starring Ed Asner, taking place in May 2019. Act 48 credit is available.